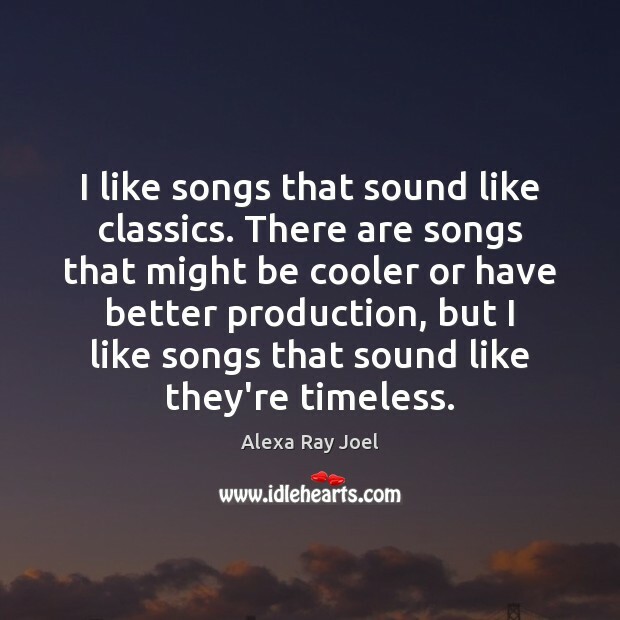 Enjoy the best inspirational, motivational, positive, funny and famous quotes by Alexa Ray Joel. Use words and picture quotations to push forward and inspire you keep going in life! It's always been a dream of mine to do a voice for a Disney movie. I think Disney movies and theater are very closely related. That would be amazing. 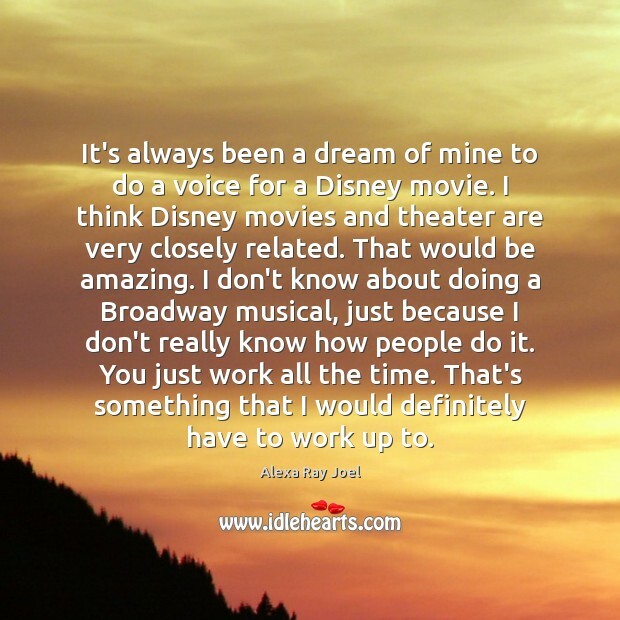 I don't know about doing a Broadway musical, just because I don't really know how people do it. You just work all the time. That's something that I would definitely have to work up to. 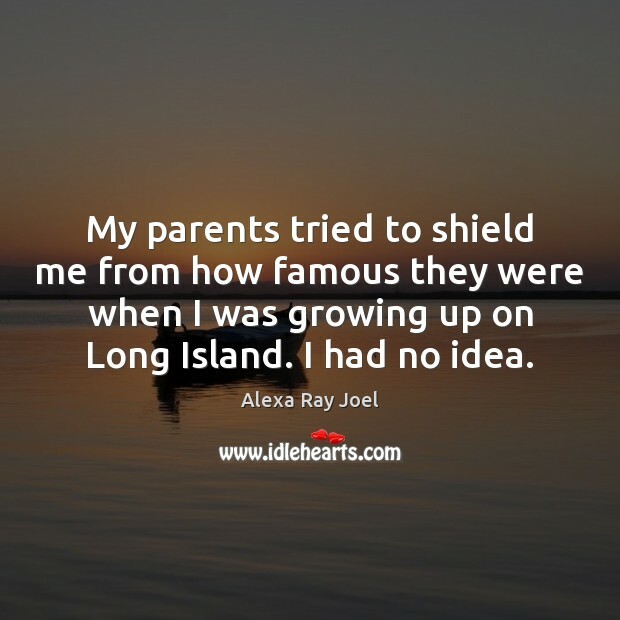 My parents tried to shield me from how famous they were when I was growing up on Long Island. I had no idea. I like songs that sound like classics. There are songs that might be cooler or have better production, but I like songs that sound like they're timeless. There's no great shame in having your nose fixed. 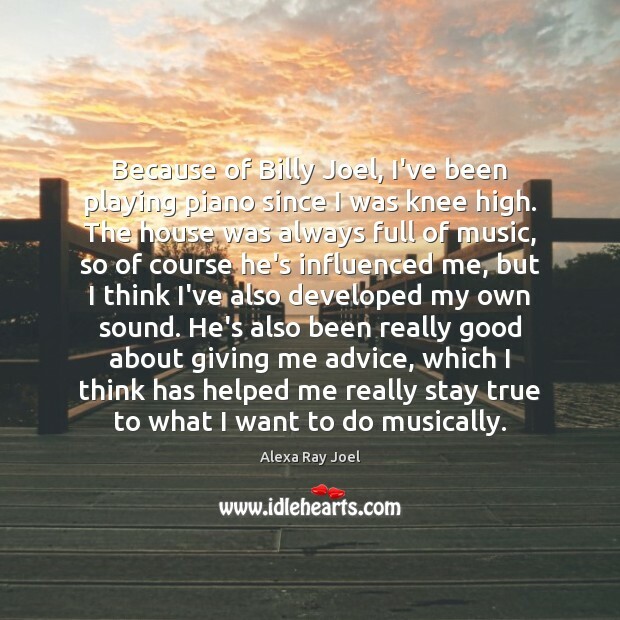 Because of Billy Joel, I've been playing piano since I was knee high. The house was always full of music, so of course he's influenced me, but I think I've also developed my own sound. He's also been really good about giving me advice, which I think has helped me really stay true to what I want to do musically. I worked a long time to get good at what I'm doing, and nobody handed me a recording contract because of who my father is.